Born in Essex, south-east England, Professor Connelly has spent much of his adult life being educated in Italy, India, Bangladesh, the USA, Scotland, and China. John Cabot University's Italy Reads Program , in collaboration with The English Theatre of Rome, presents The Glass Menagerie by Tennessee Williams. Aidan Fadden is a freelance editor, translator, and literary reviewer. A widely published poet and playwright, Daniel Roy Connelly lived in India, Bangladesh, the USA, Scotland, and China, before starting to teach at JCU. 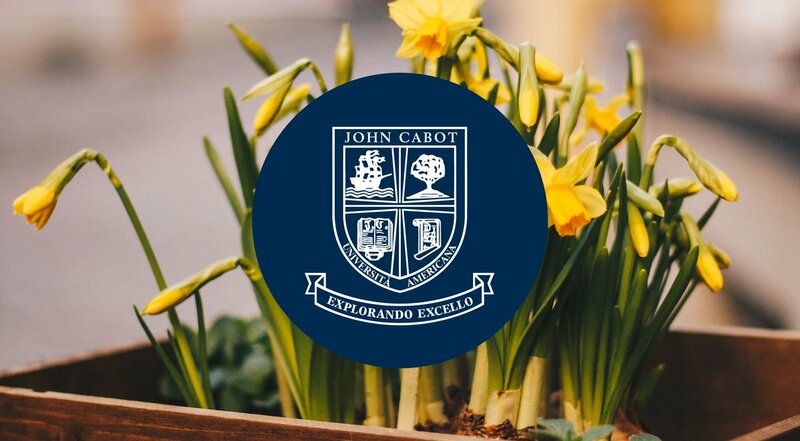 John Cabot University and the Institute for Creative Writing and Literary Translation, together with the International Writing Program at the University of Iowa, are honored to present the winners of the 4th Annual Italy Writes Creative Writing Competition. We thank all high school students and their teachers for their participation. A book presentation with Dacia Maraini and James Schwarten is planned for the 2015-2016 academic year. English Language and Literature and Theater Professor Daniel Roy Connelly has won the 2015 Cúirt New Writing Daniel Roy ConnellyPrize for poetry. English Language and Literature and Theater Professor Daniel Roy Connelly has been selected as one of 60 finalists in the international Aesthetica Creative Writing Award that attracted thousands of entries from writers across the world. On Friday, January 23, 2015, John Cabot University held its annual training session for student leaders. Dr. Daniel Roy Connelly, adjunct assistant professor of English literature and theater, was named recipient of First Prize in the annual Fermoy International Poetry Festival, based in County Cork in the Republic of Ireland.